The 2017 UTMB was billed as the ‘best ever’ and as the weather finally improves in and around Chamonix, life returns to normal for us all and we have an opportunity to step back and look at how important this years race actually was. Yes, I think this years race may well be a great influencer in the later developments not only of ultra-trail but more importantly the runners who participate. The men’s race featured a known top-10 and I think it’s fair to say there were few surprises. Unlike in previous editions, the main contenders battled throughout and few dropped or faltered resulting in a super exciting edition of the race. Francois D’Haene 19:01:32 – Francois is the best 100-mile mountain runner in the world. No question. Coming into the race, it was a coin toss if he or Kilian would win the race. I like everyone else went with Kilian – how can you bet against Kilian? But with reflection, Francois always should have been the hot-favourite for victory. He prepared meticulously for UTMB with victories in ‘warm-up’ races, he ran the UTMB route over 4-days with Salomon teammates and yes, he is the course record holder. He started at the front, closer than I had anticipated and he never relinquished a firm grasp of the race. Experience, fitness and endurance over the final third of the race saw him pull-away from Jim Walmsley and Kilian to confirm that he is the best in the world. 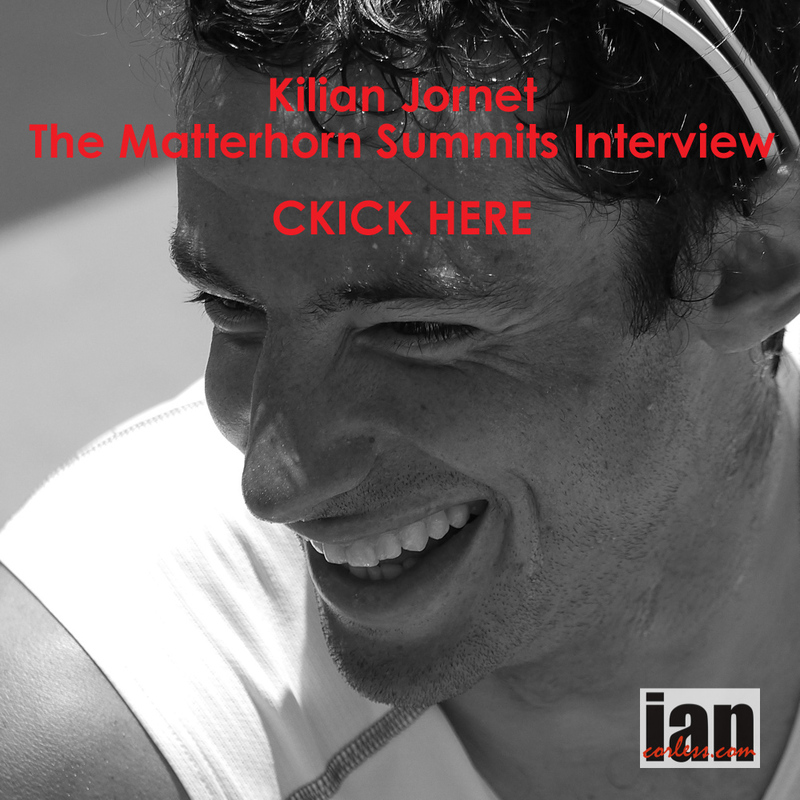 Kilian Jornet 19:16:38 – It’s tough being Kilian, so much pressure. But he shrugs it off on his own way… At the UTMB this year he interviewed runners on the start, filmed the start and continued to film over the opening miles. He surprised me by keeping with the front of the race, an unusual tactic for him. Maybe he thought that if he let Walmsley, D’Haene and the others go, he would never reel them back in. I expected Jornet to win, as did pretty much everyone else but a lack of running in 2017 and the early fast half of the race no doubt took its toll. He finished 2nd and that in itself is incredible, the fact he suffered so much is even more remarkable. He is an incredible ambassador and I know personally that he will be as happy with D’Haene’s victory as if it were his own. Let’s not forget he summited Everest twice in one week, won Hardrock 100 and won a fast Sierre-Zinal in the lead to UTMB. Tim Tollefson 19:53:00 – Yep, Tollefson signifies why the 2017 UTMB is a seminal edition for US runners. He placed 3rd last-year and backed it up again with third this year. He started steady and let his experience, training and mental strength run a finely paced and well-judged race. It was impressive to follow how he meticulously worked his way through the race. With approximately 50km’s to go, he moved up into third and he remained in that place all the way to the line – impressive! NO4 – Xavier Thevenard 20:03:14 – He’s won all the UTMB races (CCC, TDS, OCC and UTMB multiple times) and yes, of course, he was a favourite for the podium and or victory. Early on he raced with the front but I think he decided the pace was a little hot and he eased off. He knows how to run this loop though and experience counted. His fourth is no disappointment and confirms his ability over the 100-mile distance in the mountains. NO5 – Jim Walmsley 20:11:38 – This was the seminal performance of the whole UTMB and yes, I have been vocal on Walmsley post his 2017 Western States. I have to say, he impressed the hell out of me at this year’s UTMB. He took the front as I and many expected but unlike Western, he understood the task at hand and who was behind him. A naturally fast runner, he obviously struggled to run slower but he restrained himself, often waiting for Jornet, D’Haene and others. I said before the race started that he would find the final 30% tough and he did. He is incredible over the 100km distance or running say 10-14 hours but beyond that is all new ground. From 100km he slowed and struggled dropping to seventh but then rallied to move back to fifth. This was THE learning curve that Walmsley needed and I am convinced that this IS the turning point in his 100-mile running career. He has already proven up to 100km he is incredible, now we will see him harness this learning curve not only in pacing and race management but also how to handle the mind games that this distance brings. I am convinced we will see Walmsley top UTMB and Western States podiums in years to come. NO6 – Pau Capell 20:12:43 – He is a rising star of the sport, he has already had an incredible 2017 with a string of top-10 performances and now sixth at UTMB. 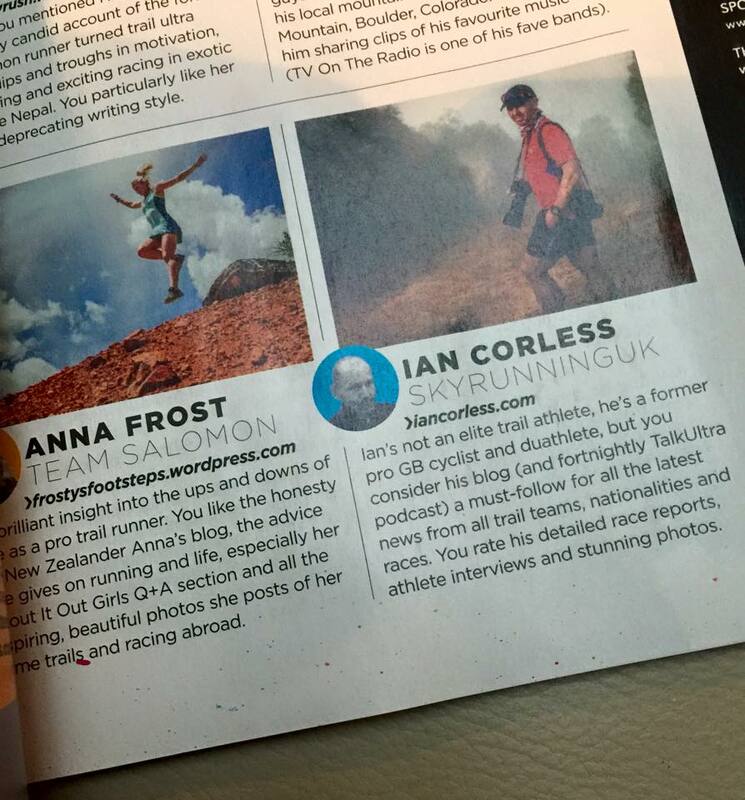 He paced well-being a novice at the 100-mile distance but his Transgrancanaria run earlier this year no doubt helped. He was all set for fifth until a flying Walmsley found a late surge to grasp a place from him. A seminal performance. NO7 – Dylan Bowman 20:19:48 – D’Bo nailed his first UTMB finish and confirms that the USA are finally understanding mountain running in Europe and in particular UTMB. I remember a few years back when he finished Transgrancanaria and he was blown away by how difficult and fast that race was. He’s slowly plugged away and learnt the craft. NO8 – Gediminas Grinius 21:24:19 – He nails the 100-mile distance and his eighth place just proves how consistent he is. He will no doubt be disappointed with his placing after placing second last-year, but this year’s race was as stacked as stacked can be and this is a solid performance. NO9 – Zach Miller 21:28:32 – Has been injured in 2017 and I think this no doubt impacted on his race and strategy. Last-year he ran off the front with what was either going to be a blazing victory or an incredible blow-up. It was the latter but he rallied for sixth. This year, he without doubt respected the distance but maybe he also realised he didn’t have the fitness and endurance to blaze a trail at the front. Either way, his 9th is solid, it confirms his ability for the distance and like Walmsley, he may well understand that a little patience will go a long way. A seminal performance. NO10 – Jordi Gamito 21:44:31 – A revelation in 2017 and while I and others thought a solid race was possible, him rounding out the top-10 is a surprise. This will no doubt rally his enthusiasm and commitment for 2018 – a seminal performance. The UK’s Damian Hall had an incredible race finishing 12th and top Brit. He only started racing a few years ago and he must be wishing he started earlier! David Laney was the USA’s prime contender for top-5 after two previous solid performances, he finished 14th. Other notable top-10 contenders such as Jeff Browning, Julien Chorier, Jason Schlarb, Tofol Castanyer, Sage Canaday and Miguel Heras all had mixed days. Most finished but Heras and Castanyer dropped. It is important to note that despite the weather and the high-level of competition, I consider the drop-out rate in the men’s race to be low. Now we just need to wait one year to see how this year’s seminal race impacts on future editions. It is a great time for the sport! I caught up with Zach from La Palma, the home of Transvulcania, a place Zach knows well after racing here as part of the Skyrunner World Series. Zach: How is La Palma? Ian: La Palma is as good as La Palma always is as you know. Zach: Yes, it’s hard to have a bad time there. Ian: I came here last December because I was finishing off my book, Running Beyond, I needed a little bit of isolation and a little bit of space and an opportunity to get on some nice trails and just to do a little bit of running. It was just so nice because the weather here in December is fantastic, the trails are great. It’s just a nice place to be and I thought, “You know what, it has been another long year. I’m going to go and do it again.” It is just so good. It’s a little bit difficult getting around the islands to get to different places of trail because there’s not a lot of connection. But I’m staying in Tazacorte Port. I have a 2500-meter climb on my doorstep. Zach: Yes, Okay. There you go, what more do you need? Ian: The final descent of the race just drops straight to my apartment door. Zach: Okay, you have no shortage of climbing then? Ian: No shortage of climbing and no shortage of descending. Ian: The only thing is it takes me as long to come down as it does to go up. Zach: Yes, work on your down a little bit [laughs]. Ian: That downhill is just brutal, isn’t it? Ian: 18k, 2500m of descent. It’s just exhausting. I’d rather go up anytime. Zach: Yes, that one’s a tough one! Ian: Yes, well you know all about it, don’t you? Zach: Yes, I’ve done it once. Ian: I remember you coming past me in the race after El Pilar, climbing towards Roques de los Muchachos. Ian: …at that point you were just in the lead with Luis Alberto Hernando, jumping on your heels. Ian: At that point, it was a classic Zach Miller day, wasn’t it? Ian: In that you lead the race from the front and then in the latter stages, it all goes a little bit wary… you had that fantastic finish with Dakota. Zach: Yes, I did. I remember that. That was quite a day. Maybe one day I’ll maybe get back to take another crack at it. Ian: It’s a great course, a great race. But talking of Zach Miller days, you do have a reputation for going out hard and giving it everything. La Palma, was one of those days. It’s a Zach Miller trademark. Tell me about the Zach Miller trademark of go out and go out and give it everything. Zach: For one, it’s probably worked for me more times than it hasn’t [laughs]. And even when it doesn’t, it usually ends up exciting. It’s a combination of just liking to be aggressive and make sure that the race gets out and I give a good honest effort that we don’t dilly dally too much. Ian: No, that’s true [laughs]. Zach: I just kind of set the tone, to give all, I must give it the best. I like to give it my best and I don’t know maybe I could run faster, with a different strategy but I just like to get out there and get it going and see where it goes. Sometimes it goes well and I end up running times or getting performances that I didn’t even know I was capable of. I think just being willing to take that risk is thrilling and I just like to see what’s on the other side. Because sometimes it’s great. Like San Francisco! Ian: You say that if you messed one up… but sometimes going out as hard as you do for the distances you do, that could take some recovery. People like myself when we’re talking about a race that’s coming up or we’re writing a preview for a race, whenever we come to seeing Zach Miller’s name on the start list, we always say the same thing. That, you going to go out hard and you’re either going to have the most incredible day, set a course record and take victory maybe? Or you are going to blow up in [laughs] super fashion and it’s going to turn into carnage and you are probably not going to finish the race or you going to move down the field. You seem quite happy living with that strategy and certainly spectators all around the world love your racing strategy. Do you ever think to yourself that maybe one day, you might try something a little bit different? Ian: – or are you happy with the fact that give it all or die trying? Zach: Yes, I do every now and then I get curious and I wonder, I think like, ” Oh, I wonder what I could run.” And it’s like, “Just run smart.” It’s like if I were strategic, could I run 10 or 20 minutes faster. Would it be more… would it be less painful at the end. Zach: …people will be disappointed. Zach: Although, I think some would like to see or would be entertained by seeing me taking a different strategy and seeing what I would have left in like the last– the second half of the race. Let’s say I ran with the guy with Alex Nichols through the first half of the race and then try to move. But I don’t know, it’s just my style. I’m pretty happy with it. I’m not going to lie when it doesn’t work, I’m hyped! Zach: The only time– the main time where it didn’t work and I wasn’t that hyped was at Templiers in France. Zach: Just because it was so… you know I came so close. I was just very proud of the effort and people got excited about it. And then, I also saw how close I came to winning. I just concluded that it was a nutritional error. I didn’t know for sure but that was how I saw it. That one was like, it wasn’t a training error, it wasn’t even necessarily a pacing error. It was basically like, “I didn’t eat enough [laughs] or drink enough.” Then it was like, “Well, I can fix this.” And that was easier to deal with. Ian: Okay, I’m going to come on San Francisco because obviously, that’s the most recent result. It’s the one where you had the amazing showdown. Your two-minute video or should I say Jamil’s two-minute video of you running into the finish of San Fran is quite spectacular and it’s certainly gained a lot of hits. But before we talk about that, I want to go back because we first did an interview when you burst on the scene and at the time you were working on cruise ship and training on the treadmill. You’ve come a long way since then, haven’t you? Zach: Yes, I have. That’s one thing I say and I’ll always says that it’s amazing to see how far I have come in three years and the things is, it’s amazing to see how much my life has changed. My lifestyle. I’m anything but living on a cruise ship anymore [laughs]. Zach: Now I live in the middle of the mountain in a cabin [laughs]. But yes, it’s been a wild ride. A lot of things have happened. A lot of races have occurred but I think I’ve also developed a lot as an athlete. I’ve gotten a lot stronger and I could just do things now that I couldn’t have done three years ago. Ian: What do you consider being the changing point for you, where life took on a different roll and you realized that there was an opportunity for you to change tack and almost make running your life? Zach: Mainly, once I won JFK and then started getting some interest from sponsors, I just saw the potential of that. I was at that elite level and I was desirable to sponsors. When I realized, I could start making an income off it and that I could be good at it, I kind of saw maybe it was time to transition off the ship and get back on land. I moved to Colorado, so that was a big step and it was a great place to move to, to train and everything. Just seeing the success of JFK gave me the confidence to give it a go. Ian: You got sponsorship from Nike, how instrumental has that sponsorship been? And how much do they help you to live the life that you now want to live? Zach: Nike has been very helpful over the past three years. I was very new to the sponsored world. Basically, they came in and they gave me a lot of very good product support, travel support, an opportunity to make some money, too. It just opened doors to be able to travel, to races like Transvulcania or UTMB. To have the sponsors to do that because plane tickets and everything are very expensive and I wasn’t at the point in my career yet where races were paying to bring me over. 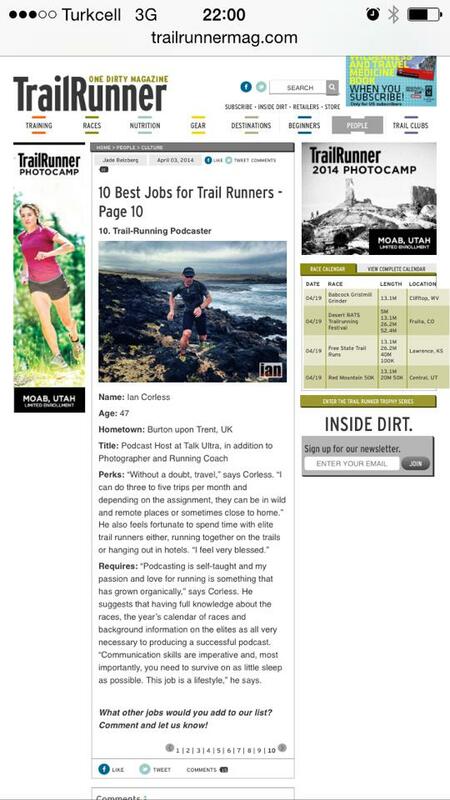 I needed sponsor help to get me to those races so that I could make a name for myself. Basically, they just gave me an opportunity. They provided a way for me to get out there and make a name for myself. That’s been very, very helpful. Over time, I got a few more sponsors and things. But, yes, they were the first one to jump in and support me and it worked well. Ian: When did the move happen for Barr Camp, and tell me a little bit about Barr Camp and the story behind that? Zach: I would have moved to Colorado in May– around May, shortly after Lake Sonoma in 2014. I lived in Manitou Springs, at the base of Pikes Peak for about a year– working and training. I was on Pikes Peak a lot training on the Bar trail and just in that general area. I got to know the caretakers who were working at Barr Camp which is an off the grid cabin, halfway up the mountain. It’s like the huts that you would have in Europe except not as fancy. There isn’t a road. There’s a little electricity that comes from solar. Our water comes from the creek. The bathrooms are outside so it’s not as fancy as a lot of the European huts. It’s very remote and it’s pretty rustic. But anyways, I got to know them and then I found out that they were leaving and they were looking for new people to take the job so I got the information and then I pitched the idea to my sister because I wanted somebody to apply with me. My sister liked it and so we applied together and then we ended up getting the job. Now, it’s me and my sister and her husband– we all work up there. We’ve shifted rolls a bit. My sister and her husband take the full-time roles and then I actually work in a part-time – more of an assistant, part-time role. I live at the cabin year around but I have the freedom to go do my racing and my sponsorship obligations. And basically, when I’m here, I’m working but I get a lot more freedom to be able to like go Europe and go to California and do all the things I need for my running career. It’s really just a good mix. 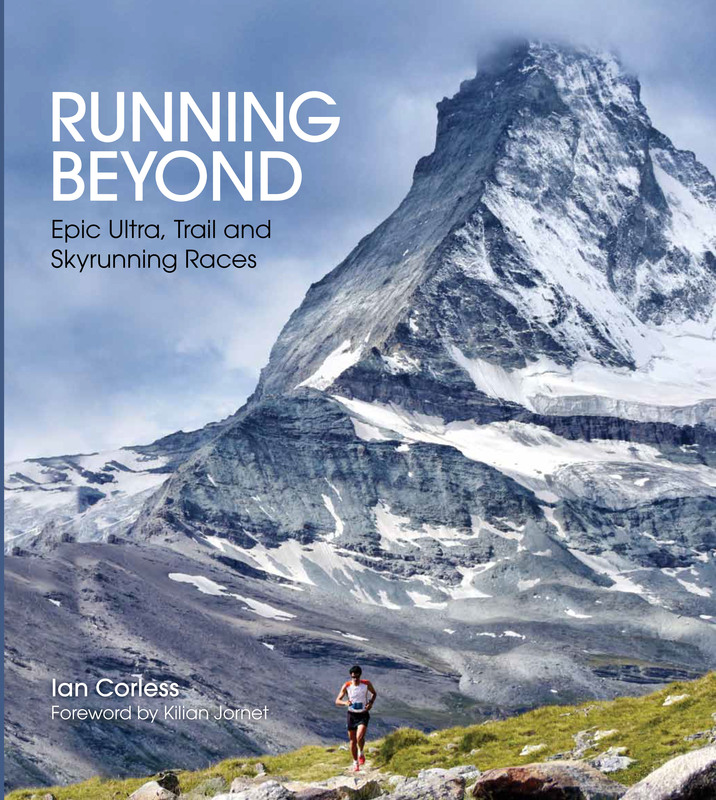 Ian: There’s a lot of people going to be reading this and they’re going to be thinking – particularly if they’re involved in trail and mountain running, “Wow, that sounds just awesome.” Is it as awesome as it sounds? Zach: It is awesome but it’s not for everybody. It is also tough. The winters are very awesome because the camp is open year round but our traffic drops a lot in the winter. In the winter, we have a lot of time to ourselves. It is still labour intensive. You’ve got to haul the wood in so the fires lit to keep the cabin warm and you’ve got to carry the water in from the creek in five gallon buckets. You got to shovel off the solar panels and clear all the snow and everything. In terms of like day-to-day seeing people, we don’t see as many. It’s much more relaxed to have a lot of time to go out snowshoe, or ski or hike or run. It’s much more laid back. But the summers are incredibly busy. We’ll feed and house up to 45 people. If you come to our camp it’s not very big, so that can get hectic. We’ll feed like 45 people out of this little tiny walled kitchen. There’s just a lot of work in the summer, between cooking and cleaning and doing camp maintenance and doing search and rescues, and talking to hikers and selling things. In the summers, you pretty much go non-stop from 6:00 Am till 9:00 PM. And then maybe you read a book for like 30 minutes and then you pass out and go to bed [laughs]. I’m basically either working or training or working. It gets pretty busy. Ian: Tell me a little bit about the training, because obviously, I don’t know what height Barr Camp is at, but it must be around about 10,000 feet. You’re sleeping altitude for sure, do you then drop down and train at lower altitudes or do you find that you’re training above 10,000– below 10,000 and that works really, well? Zach: Yes, I just stay around 10,000. The camp is at 10,200 feet. Ian: That was a good guess, yes? Zach: Yes, it was. It’s 3,000m, I’m looking at my cabin right now because we have it up on the wall. It’s 3,109 meters for everyone in Europe. It’s very high. When I’m here I do a lot of my training. Sometimes if I make it all the way down to town, that’s like 6,400 feet. But then I must come back up. Basically, the low point of my training is around 6,400 but then I have days where I go all the way to the summit which is 14,110 feet. My training is anywhere from 6,000 to 14,000 feet. It always starts and ends at 10,000. I probably spend a lot of time between 13,000 and 8,000 feet, it is probably where a lot of my training is done. I don’t necessarily intentionally go low to train; I just train where I am. I don’t drop down to do like speed work or anything. Not usually. Zach: What’s interesting about that is we started this conversation with me being in La Palma and the Transvulcania course starts at sea level and almost finishes at the sea level. But that middle third of the course, once you go through El Pilar you’re then above 2,000 meters and you stay at 2,000 meters or above. One of the things that I’ve found running on the course and being on the course is that going up to altitude and dropping back down is completely different than staying at altitude and having to run at altitude for a prolonged period. And of course, that’s one of the things that happens at Transvulcania is that once you get into that middle and latter third section, you’re running at 2,000 to 2,500 meters for quite a chunk of time. Living where you do, this is perfect preparation for this type of race. Do you really feel the benefits of that when you travel and go to different races? Zach: Yes, the benefits are there. It’s hard to always feel like Superman per say but the one thing is like when I run a race like Transvulcania or I race at UTMB, when we get up to the high points of 8,000 feet I don’t necessarily feel much different. For me, it’s not like I get up there and I feel I’m way out of my element. It’s just like that’s where I train every day. Up there I just feel like I do in Colorado. You don’t necessarily feel like superman per say although, I do usually feel pretty sure on climbs. Like when you get the high altitude and we go up the climb, that is where I notice it. I do remember running at Transvulcania two or three years ago and being up on the volcano with Luis Alberto. He’s incredibly strong but I remember listening to his breathing and feeling like he was breathing very hard and he obviously ran very hard and he ran great that day. He beat me by a long shot but I don’t know what altitude he charged at? But I just remember noticing that we were up there and probably once he got down he was very, very strong. I remember him seeming a bit laboured up there but he still went right away from me. It was very, very impressive or maybe he’s just a heavy breather [laughs]. Ian: He does breathe heavily and Luis is a little bit like yourself in that he commits himself but he knows how to bide his time. Particularly at Transvulcania he would have known that you and maybe Sage Canaday and a couple of others were going to go off hard and he would be thinking about pacing himself. But when he makes his decision to go then he commits. Zach: For sure I’ve seen that. Ian: That was probably the phase that you were hearing him. When he made the commitment and it was a case of, “Now I’m going for it. 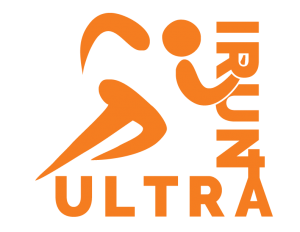 I’m going for it.” Would you say that Transvulcania was maybe the race that started your switch to move to the longer ultras? Zach: I wouldn’t necessarily say so because it’s still in that 70 to 80-kilometre range. I’m trying to remember if it was our first big European race or not? Ian: It was, wasn’t it? Zach: It was probably my first like real big more technical European race because Templiers in France is a hybrid. Transvulcania isn’t that technical in the beginning but that descent is what defines that and that is much more technical. I just think I was walking up in terms of racing in the European style at Transvulcania. Ian: If Transvulcania wasn’t the real catalyst then surely something like Madeira Ultra Trail which at the time you said was one of the hardest races you’d ever done? Zach: Yes, it’s still one of the hardest races I’ve ever done. That was the one that was a jump for me. I had been doing racing and it took around six to seven hours and then Madeira was my first race that ever took longer than like eight or nine hours. It was much longer than that. It was just under fourteen hours. That was a long time for me. That was new territory for me. But I did that and then people were like, “Well, if you can do this, you can do UTMB.” It scared me and also gave me some confidence for UTMB at the same time. Ian: Tell me a little bit about Madeira Island Ultra Trial because I’ve been to Madeira Island several times now for races and there’s only two directions on the island and that’s up and down. It’s a brutal environment. I remember seeing a photograph of you lying on the ground looking as though you had a medical team making sure you were still alive. Zach: Your description is good, there’s only two directions up or down. There are points in Madeira where you actually do run rolling almost flat but yes, it’s a very roller coaster course. You’re basically doing a big climb or big descend or a short little bit of runnable in between and the climbs are very steep and the descents are very steep. What defines Madeira are the stairs. So many of their trails just have stairs in them. They’re not uniform, some are concrete some are like dirt and wood planks. Some are small, some big, some are wide. Your footwork at Madeira must be very good and you must be able to change it at a moment’s notice. It makes the end that last 20 kilometres, so it was just brutal. Ian: Do you still consider it, without considering San Francisco which you obviously have just won, was MIUT one of those defining races where you put it all on the line and it had come good? Zach: Yes, it was because I was going thoroughly hard from the gun. We started at midnight and by the time the sun came up I had a good lead but I had already bonked… That’s why there’s that aid station video of me eating so much food because I had just bonked right before that aid station and I knew I needed to eat. Yes, I had worked very hard. I had run myself into a bonk and then came out of it. Then just had to fight really, really hard and it was very painful for the last like 20 miles but I was somehow able to keep going even though my body wanted to stop. It was also a day where it was like, “Wow, it’s impressive that my body could hurt that bad and keep going like it did.” It was a very telling day. Ian: I’m interested in a couple of things that you’ve said there. You bonked in the race? You blew up, managed to eat and then carry on and not lose the lead but then also in the final stages– and quite long final stages where you’re really hurting and you’re in pain, you still manage to continue to push. Is that something that is just within you or is it something that you think you’ve worked on to enable yourself to do that? Zach: It’s both. It’s within me and it’s also something that I practice almost every day. Even as a kid I was a very very competitive person and I am very hard worker. If there was something in my mind that I considered to be successful, whether it was getting an A on my test at school or running a certain time in cross country. If there was something that I gained success I always wanted to attain it. I’m just naturally very, very driven and very hard working. My parents were not so much athletes but very, very hardworking people, so I always kind of grew up with that example in front of me. And kind of not quitting until the job is done. Then the other part is I go out and I train and I just take those things and I practice them. I won’t let myself hike up a climb, I just stubbornly run it or I’ll bonk out there on the run and I won’t let myself walk it in. I’ll somehow manage to slowly run back to the cabin, and it gets cold in the winter and I train all winter long and it could be negative 15 degrees’ winter and freezing cold and snowing and I still go out and do it. I just kind of discipline myself on a day-to-day basis and then when I get in the races, I’m well practiced at suffering and just sticking with that and that’s how I get myself to push all the way to the end. Ian: Okay. Well, that’s obviously one of the reasons why you’re successful because most people can’t do that. CCC, where did that fit into the big picture? I’m assuming that it was a case of going to Chamonix, understanding the environment, understanding the landscape for a serious attempt at UTMB? Zach: Yes, sort of, it was probably less about scoping out the landscape for UTMB as it was just running CCC. 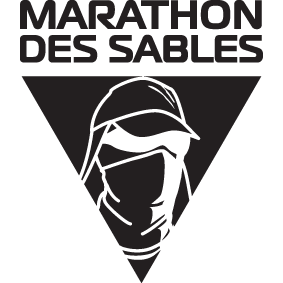 I wasn’t at the point in my career where I wanted to do 100 miles yet, so I wasn’t going to do UTMB. But I still liked racing in Europe and that one looked good and Nike had gone over the scopes and they recommended it, Nike said it would be great. And yes, a bunch of my team mates were doing it. And it was like, “Well, this looks like fun and this looks like good one.” So, I jumped in and did it. It wasn’t so much like just a scouting mission for UTMB, it was more just to run that race. And it ended up being greater. It was kind of a turning point in my career and I was thankful that I did it. Ian: Winning CCC is one of those funny things, if it was a stand-alone race, on its own weekend, it would be huge, but it always gets completely overshadowed by the UTMB. And I’ve spoken to and I’ve interviewed countless people who’ve been on the podium at CCC, Ellie Greenwood is a classic example and she said, “You really feel as though you’ve just won a smaller race in a big weekend.” Did you feel that? Zach: That was my fear when I went to do it but when I did it, I didn’t really feel that. My fear was kind of like– in fact towards the end I wanted to run UTMB instead because I was thinking CCC is the side show, UTMB is the A race and CCC is the B race, and all the eyes and all the media and all the attention is on UTMB. And I was a bit reluctant to be in CCC to be honest. Probably even standing on the start line thinking all the big names are not in this race but then I ran it and the crowds were fantastic. My family was following along from home and the coverage was good. And when I came in… it finishes at the perfect time because it finishes around nine o’clock at night when everybody is having dinner. And so, the finish line at CCC is just phenomenal. When I came in and I won, it didn’t feel like I just won this side show, it actually felt like a very big deal. A lot people got very excited about that win. It got me a lot of attention in Europe and in the States, as well, so no, I was afraid that it would feel like that, but once I did it, it didn’t feel like that. It felt like its own show almost. Ian: I wonder Zach, whether it’s because of your racing style and your race strategy and your, give it everything, and of course you did milk that finish line, didn’t you with the jump in the air… there was the elation, there was everything in there and of course an American winning a French race is a great story. Zach: Yes, maybe it was partly because of that but yes, whatever it was, it was a great experience for me. And that’s the interesting thing about running and about sponsorship, most of the time the sponsors want the win, they want the podium finish. They want you on the top. But I’ve also come to realize that through racing, people are attracted to elements more than just winning. I probably had races where I haven’t won and I ended up with more interviews and articles and attention than the guy who did. Just because people were so entertained by the dynamic of it and the style of it and that’s just been very interesting. And it’s just funny how that is, it’s like sometimes you don’t even need to win, I want to win but there can be a lot of value just in the way in which you run the race regardless of exactly where you finish in the standings. Ian: No, absolutely. And there’s a couple of classic examples of that and this year’s Western States with Jim Walmsley as a classic example of that, he’s had far more media coverage than Andrew Miller who won the race and almost to the point that if you ask people who won Western State this year, sometimes they don’t even know, because there was so much attention on Jim Walmsley. Ian: Particularly for you with UTMB, the fact that you took it on and you gave it everything, and you did blow up. But you didn’t blow up in spectacular fashion as myself and maybe a couple of other journalists thought you would – you somehow you managed to hold on and still get a very, very respectable place. Tell me about UTMB, and what made you think that you could go and run that big loop through three countries from the front and maybe hold on to the finish line? Zach: Honestly I didn’t know. That’s the thing with how I race. I said to friends or whatever, “I don’t go into races saying that I’m going to win, I don’t even go in with full confidence that I will. The only thing is that I’m just willing to try, and I’m willing to try to do something that I’m not sure I can do.” I think I can run around Mont Blanc, but I’m not sure I can run around it at the pace that I’m going to set off at. I’m just willing to try and find out and then if it works, it will be great, and if it doesn’t, I will learn something and then come back and probably try and fix it. Yes, I didn’t know if I could hold that all day. I did feel good and strong for a very long time. I had a little bad patch out of Courmayeur but then recovered and ran strong. It seemed all was going well up until just after Champex Lac, this is where it all started to unravel. Ian: That’s what’s so great about it. I think to myself, if I was on the start line of a race like that and I had those insecurities-, those doubts or if I could or couldn’t, I’d play safe as most people would. And I’d maybe ease myself into the race, see how things go, and if I got to around about 70 or 80 miles and I’ve got something left, then I might give it a little bit more of a push. But you almost do it the opposite way around, you sort of go, ” I’m really fresh, let’s go as hard as I possibly can, for as long as I possibly can and maybe I’ll hold on.” When it all goes belly up and you get that major blow up and the major bonk, what goes through your mind at that point? Because you see the other runners coming up to you, you’ve got all those question marks in your mind about, “How I’m I going to get on here with? How am I going to continue? I’ve spent so long in this race at the front I don’t want to give it up now.” How’d you carry on? Zach: It is very hard. Usually, there’s a fair amount of fight left. When I got Champex Lac I was getting chased but somehow I fought my way in there in the lead. Then by the time I left right on the heels of I think Julien and then just in front of the guy in third at that point in the race whose name is escaping me. Right then, I was in a bad spot – I wasn’t good mentally but I wasn’t going to give up. I was very determined to try and salvage it. I did actually get past Julien and I climbed away from him very, very, well. It wasn’t until the next day in the race that I found out that those two who had caught me at Champex Lac never beat me. I held them off. Ian: No, they didn’t catch you! Zach: Which I didn’t know because when Ludovic caught me I thought it was Julien, they’re both Hoka, I don’t know them very well by face. I know them much better now. I was confused when I was out there. I thought I was getting caught by Julien Chorier again and it was Ludovic. They’d comes from very far back. First, there was a lot of fight and then the body was just getting to a stand-still. It was just like the heart and the mind battle, the heart wanted it so badly to stay at the front and the body just wasn’t able to. It was very, very difficult for me. But I was still going to try to get to the finished and finish respectively. I just pushed to the finish — not very fast but I just did what I could and I got there. It was very tough mentally once I start getting passed. Ian: It was still an incredible result for you to be one of the highest ever finishing Americans at the UTMB. History with UTMB and America is not something that the Americans have looked on until these last few years as being too great. What do you think has changed with people like David Laney, Jason Schlarb, yourself and so many others, that are now, making or enabling the American male runners – because the females have always done well at UTMB – but it’s significant the male runners that are now performing, what is it do you think that’s happened that’s now giving you good results at that race? Zach: I’m not entirely sure I think maybe we’re a little more focused. Americans had a stage and we’re still maybe going through it where people just raced everything. They were not being very selective they just trying to see how much they can do but it’s quantity instead of quality. And as it’s gotten more competitive in America the elite runners have started to realize that, “I can’t just go out and win everything all year all along, I actually have to plan this. I need to be strategic and I need to target races.” I think maybe we’re targeting a little more and so we’re coming in with bodies that are not so beat up– that are ready to go. And then we’re getting this faster generation that’s fresher and has this fast running background. On a runnable course– on a pretty runnable course like UTMB they’re able to– we’re able to go crank for a while. But then we’re also pulling young guys who have that background but also live live in the mountains of California at high altitude. I live in Colorado, Jason Schlarb lives in Colorado. David Laney bases out of Oregon but he’s always out the big mountains. Runners are finding themselves with these faster running backgrounds and good talents then coupling them with good training grounds and a little bit of focus and it’s paying off. Ian: Yes, you’re exactly right. It’s a learning curve and I also think that more Americans are racing in Europe and they’re beginning to understand the European style of racing and the courses that are available out here. Because in general, our courses are more technical– and I’m not saying that UTMB is a technical race but I’m just saying that it’s all a process and it’s all a learning curve. Your UTMB, and this is my last question on UTMB. We’ll talk about San Francisco in a minute. A lot of people have compared your run to Ludovic Pommeret who won the race. Ludovic, while you were leading the race, was probably back in 50th place and he slowly but surely moved his way through the field as many of the elite runners fell by the wayside and dropped out of the race. He moved up and eventually won the race. Zach: You could learn something. His win is also interesting because, if I understand correctly, he and I were actually pretty much together in the very early stages of the race. He did go out aggressively. He had a stomach issue partway through that put him into a walk for a while or hike and put him way back in 50th and then he made that miraculous comeback. His body forced him into a more conservative or strategic approach even though it wasn’t necessarily what he was trying to do. It is very interesting; it shows that you can and guys like David Laney too, show that you can be slower and be much more strategic and then just sweep up all the carnage along the way. Zach: There is something to be learned there. For me, when I came out of it the big areas where I saw to improve and learn lessons was more from a training standpoint – conditioning my legs a bit better for the downhill running towards the end. Then just in general and then a nutritional standpoint. Because when I look at UTMB in my own head and I don’t know if I’ve ever actually said this to anyone but in my own head as I progressed through my career– as I’ve raced since then and as I looked backed at UTMB and I looked back at other races I’ve done I feel that maybe– and I must go back and try UTMB again to test my theory. But it feels maybe it’s a bit like Templiers where I learned a big lesson in nutrition and there was a lot of potential there in my body physically but there was a lot that needed to be learned nutritionally to support that kind of an effort. Now, I’m just trying to figure out how do I fuel my body to support that kind of a physical effort. I don’t know. Yes, maybe I need to make some adjustments in tactics, in pacing, in technique and how much I hike and when I run and how aggressively I go out. It’s all very, very, interesting and I have a lot to think on through the winter. Ian: The Ultra running audience are quite happy with the way you run Zach and they’ll happily accept every now and again that you are maybe going to blow up or you’re not going to win a race because the way you’re racing is so exciting. How was the recovery process post UTMB? 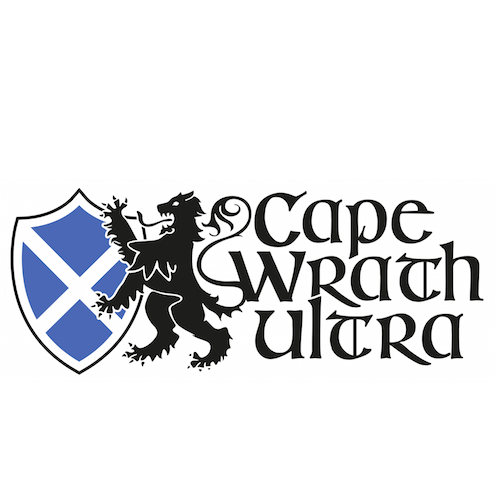 Had UTMB depleted you physically and mentally? Zach: It took its toll physically and mentally in the short term. Physically, I was less sore but from a deep-set fatigue stand point I would say I was much more beat up. UTMB took about a month. It was much, much longer, about twice as long than 50 mile recovery. And then mentally, it was tough too. When I came back from UTMB, I was in a rough spot mentally. I just had trouble. Although, I acknowledge a lot of positive things that came of it, lessons learned and good experiences and things, it was just really hard. It was so very heart-breaking for me; it was hard to deal with for a while but then eventually the body came around. I got back to training hard and I could focus my energies on something and I had a goal in mind– getting ready for North Face, and eventually I found my way, but it was initially very hard. In the long term, the fear of the hundred was kind of like, “Oh, you will lose your speed.” People were like, “Take your time getting to the hundred, you’ll lose your speed.” Maybe I lost a bit of very low end speed but after North Face 50 I don’t feel like I’ve made myself a worse 50 mile runner. Zach: I’m very happy about that because I felt at North Face, and maybe you will ask about this, but I felt when I was out running North Face, maybe at North Face is where my UTMB training that I had done all summer was paying dividends and showing up. That maybe I wasn’t quite present at UTMB but after resting after UTMB and then going back, like shifting training a bit. But at North Face, the work that I had done all summer long was now finally paying off. Ian: You have hit the nail on the head for me and that was going to be my segway into North Face in San Francisco. What you achieved or maybe what some people would say you didn’t achieve at UTMB is what gave you a course record and that incredible run at San Francisco. That suddenly 50 miles was not that long in comparison to what you did at UTMB, but also it gave you all that inner strength and there was definitely a part of me that, it was a case of you were on the start line not only to race everybody else but you were there really to race yourself and to see what you could get out of your body and if that meant victory then all well and good, but if it meant that you came third or fifth or tenth but having given it everything then you would have been happy? Ian: I’m going to compress 50 miles into five or ten minutes but I’ve seen a lot of races, a lot of ultras and I’ve seen some fantastic performances, but the one thing with an ultra is when you see the guy or the girl come down the finishing chute they never look spent. They never look as though they’ve given it everything (from a a pace perspective) and it looks as though at San Francisco that you gave everything right from the beginning and finished it off giving every last ounce that you had. Your finish is just the most captivating two minutes of a 50-mile race. You are giving it everything. You’re breathing out of every orifice that and you’re worried about whether Hayden is chasing you down because you were only separated by minutes. It’s just so compulsive. Do you feel as though that is the way that the racing is going to go now? Zach: It is heading that direction. We’re getting to the point now where we’re really starting to race. Hayden’s performance that day was absolutely incredible. I basically told him after the race, I’ve never had anyone hang with me like that. I’ve had people like Luis Alberto beat me. I’ve had people catch me. I’ve had other experiences but I’ve never had anyone go out with me and challenge me like that and then stay right on my heels all day long. And sometimes it was me on his heels because we flipped back and forth. That’s how close it was. It was a race. It was like I was running a road marathon where we came down to the final couple of miles and somebody makes a kick and pulls away and wins. That’s pretty much what it was. It was an actual race all day long where I could never be comfortable and I could basically never let off on the gas. Yes, as we get competitive fields and these young hungry guys in the sport we are maybe going that way. The 100 mile distances are a very interesting distance for that to happen to, just because there’s so many factors. But in this 50-mile distance where, especially in America where the courses are being run in five and a half– six and a half hours, and guys are starting to get very strong and trained very well and be tapered well for the races. Yes, we could see more of it. I don’t think we’ll see it necessarily at every race but I think a couple of the big ones during the year where you get the right combination of guys on the line and we’ll have a few more shows in the next couple years. Ian: Zach, how much do you think $10,000 prize money influences it being a race. Zach: It influences it in the sense that it draws a lot of very good competition to the start line. A lot of the elites, they want to run it because that’s the big pay day if they can get it. When I’m out there running… I forget where I heard it but it was somewhere I think after college somebody said they had received some advice or something that you should never run for money. Money should never be the reason that you’re running. When I’m out there running 50-mile race, money is not the motivating factor. I like to think that there’s other things that are more of a motivating factor but I won’t lie when I was running the race I was thinking about the $10,000 prize! Zach: I would love to say that the money never crossed my mind, that I’m just such a purist of giving it my all and just the spirit of the sport, that that was the only thing motivating me but I’m too human. It was a mix. It was my competitiveness, it was my desire to just be first and attain that measure of success, and it was also $10,000. I probably needed just about every bit of of grit to get me to push that hard. Ian: There is absolutely nothing wrong and my question was a loaded question because I wanted to get your viewpoint on the influence and the impact that money has in the sport, because I think we are going to see more of it and races like Run Rabbit Run where there is even more money available has an influence. This race was a race, prize money or not. And when Hayden and yourself are running shoulder to shoulder and he’s in the lead and you’re in the lead, what was the point where in your mind you thought to yourself, “Now is the point that I go and give it everything.”? Zach: It was pretty much with about nine miles to go coming out of Muir beach the second time. Ian: You got the course record and the race will be remembered for years and years to come. It’s one of those classic jewels and of course the advantage these days is that there’s so much social media that that story get shared worldwide. It’s certainly become one of the highlights of 2016 for several reasons – I think the time that you ran, that final two-minute video shows the amount of commitment and pain that you’re putting yourself through. But equally the finish line and the sharing of the story and the emotion with Hayden that very much humanized the event, that there was a victory there was prize money but ultimately it’s one of the things that I love about this sport, it was the interaction between you two and the mutual respect. Zach: Yes, that was one of the greatest parts of the day. Was that I was competing against an incredible athlete who at the end of the day was willing to turn around and shake my hand and give me a hug and chat about the race and how incredibly hard it was. There was a good camaraderie there, it wasn’t this like ugly rivalry of like, “Oh, I hate you and you hate me and we can’t talk to each other.” No, it was almost like we were more friendly with each other after the race than we were friendly with each other before the race but I think each person kind of maybe has their guard up a little bit, you know? Zach: And then after the race it was good to be able to share those moments with Hayden and especially him being so new to the sport. Zach: That was me at JFK with Rob Krar. And I remember how kind Rob Krar was after the race in talking to me and I respected that. And that is a good testament of the great sports we have. Ian: 2016 is coming to an end, you’ve had incredible results at San Francisco, you’ve got that course record and now is an opportunity for you to look back at the year and recover and plan for 2017. I’m looking forward to next year, you have an entry for Hardrock 100. Zach: [laughs] Yes, just to add it’s not a guarantee yet, I’m in if I want it. It was a funny situation, I had a ticket and I’d paid for the Hardrock and I’ve kind of wanted to do Hardrock and Bill Dupery wanted me to do it and I had this ticket and I said well, they say it takes like eight years to get in so I might as well put it in. Zach: And I said I will put it and I will hope that it doesn’t come out because I want to go UTMB. Zach: Now I have this decision, I must decide whether I run Hardrock or run UTMB and at first I would say I was leaning towards just going to UTMB and then I kind of started talking with Bill Dupery and [laughs] friends in Colorado and I started leaning back more towards Hardrock. And now I’m not sure what to do but I’m considering both. I won’t do both but I will pick one and I’m considering both I just must decide which one to pick. 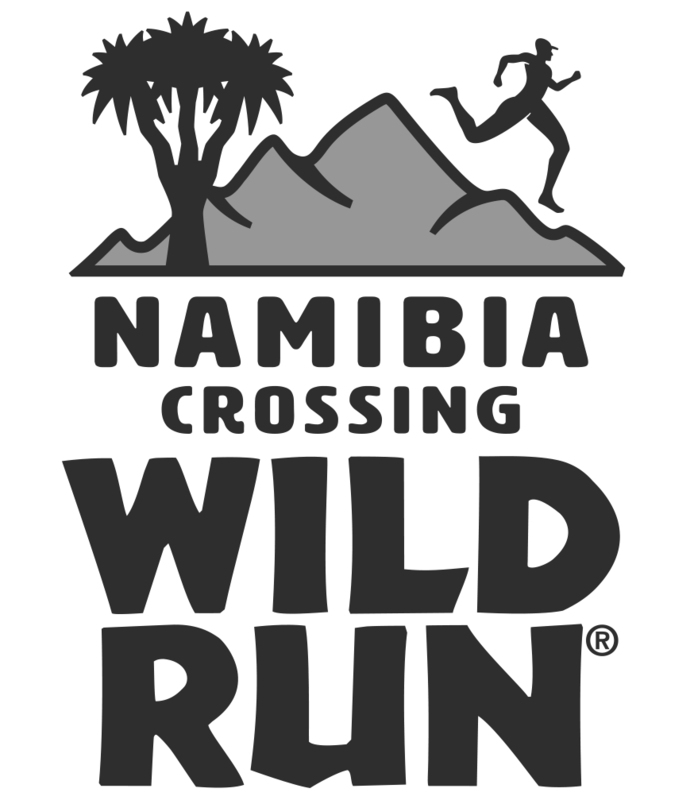 I’m very honoured to have made it into the race and it is a very cool race and I think it suits kind of my current living and training style, I am well-suited for it, so I kind of feel I should probably take a crack at it while I have the chance. Because I know this chances are precious. I’d say there’s a decent shot I’ll be on that start line but I still must kind of think through a few things. Ian: Well, I’m not going to pressurize that decision. 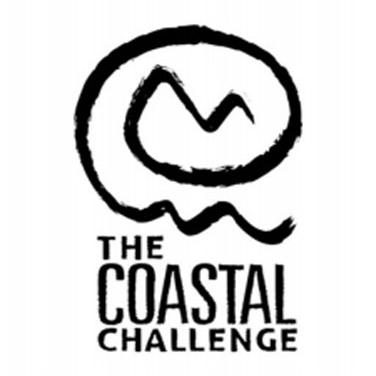 Ian: Should you choose to do Hardrock or UTMB it’s going to be a very, very exciting day. I must think that you’re run at Hardrock would really, interest me because [laughs] if you use the strategy that you always use that could be a very, very interesting day at Hardrock and particularly with Kilian and Jason Schlarb going back – that’s one hell of a line-up. Zach: …because, as insane as they think it is, it’s extra insane at Hardrock because of the nature of the course and they want to see Kilian go as fast as he possibly can. And if we could get both of those things in one day it would be very exciting. Ian: It would be more than exciting Zach! Zach: Maybe Kilian’s already gotten his best performance there but the man is very, very talented and I felt like having Hayden at North Face just pushed me to a different level. I’m not saying that I’m good enough to push Kilian to that level but if we could ever have somebody push him to that level that could be very fun to watch. Ian: It would be definitely fun to watch. And on that note, it’s a perfect place to finish with the anticipation and excitement of what might happen. Either at UTMB or Hardrock in 2017. Zach look, thank you so much for giving me your time, it’s been a fascinating interview and thank you for inspiring so many runners in 2016. Zach: You’re welcome, it was my pleasure.